Home / Commentary / Ask An Evangelical: Why are megachurches tied to the Evangelical church? Ask An Evangelical: Why are megachurches tied to the Evangelical church? 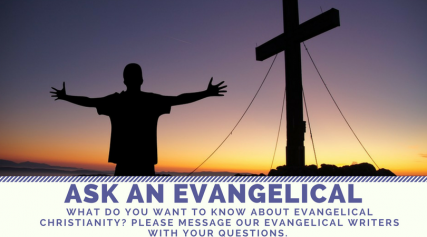 What do you want to know about Evangelicalism? Submit your question here. In pop culture, it looks like megachurches always belong to Evangelical congregations. Is this true? And if yes, why is this the case? And if not, do you know why the perception exists that megachurches are Evangelical? Hi, thanks for your question! The definition of megachurch is pretty broad; technically it’s any church with more than 2,000 attendees. Usually that definition has included a Christian church of some kind. Whether or not the church is strictly Evangelical is up for debate; according to a detailed list from Hartford Institute for Religion Research, several dozen denominations are represented among megachurches in the U.S., including Lutheran, Presbyterian, Southern Baptist and Pentecostal. A large number are nondenominational. So whether or not these are all Evangelical depends on how you define it. 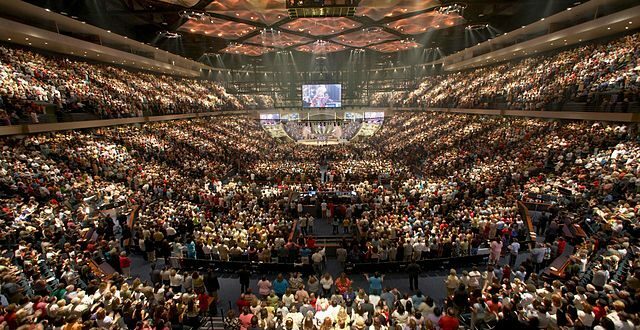 Some of the largest and most well-known churches, including those run by Rick Warren and Joel Osteen, probably contribute to the idea that all megachurches are evangelical. But not all of them are, in the strictest sense of the word. I think part of the confusion comes from the fact that secular people define evangelical churches differently than we would define ourselves. Within the church there are lots of different denominations that would not consider themselves exactly Evangelical, whereas people might look at a mostly conservative Christian church and call it Evangelical. Like many folks, I have bones to pick with megachurches, but I see their good points. They serve a great purpose for people who like their style of worship, and their size allows them to back and sponsor financial projects smaller churches can’t. Others are drawn to their small-group style of socializing. Personally I now prefer smaller settings when I attend church, but it’s hard to deny the megachurch movement is growing. It’s interesting to see what kinds of movements people are drawn to and why. They’ve done a good job of marketing, and while the cynic in me finds that kind of distasteful, it works. American religion has a long history of entrepreneurship and innovation that’s been around for hundreds of years, and didn’t begin with Billy Graham. (Think tent revivals and chapel train cars.) Evangelicals have been the latest to capitalize on it. If you’re interested in the history of religion and really want to nerd out on things like the megachurch trend, and how it came to be, I highly recommend a book I’m reading right now called “American Grace” by Robert Putnam. It’s pretty long, but well worth the time.